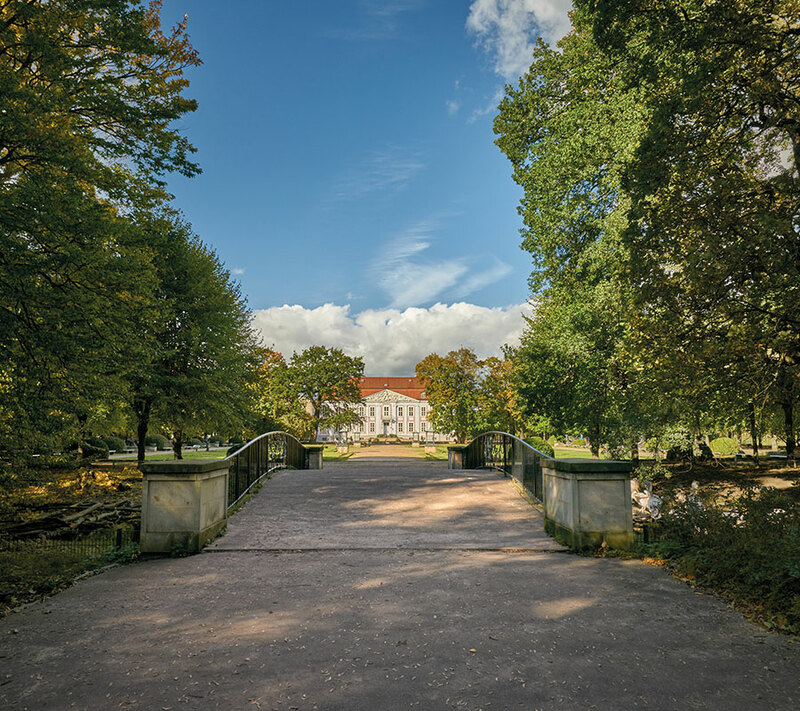 Follow us on the trail of world history; catch the betting fever on the Trabrennbahn race track and enjoy the inviting greenery of this quarter. 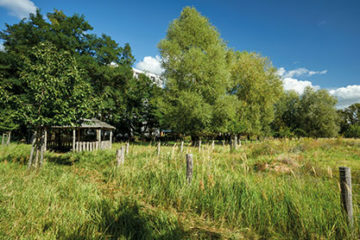 You begin the tour at the U-Bahnhof Tierpark. 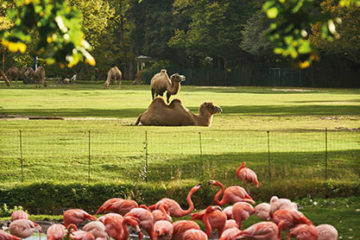 Here you can visit the Tierpark Berlin zoo, the largest landscaped zoo in Europe, with Friedrichsfelde Palace, built in 1685. From Tierpark, continue walking along Treskowallee and turn left across Römerweg towards Robert-Siewert-Straße to the Evangelischen Friedhof (Lutheran Cemetrery). 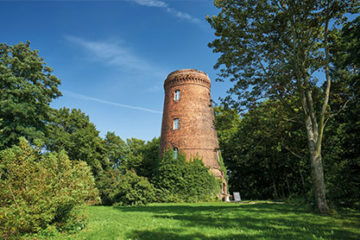 Renowned figures from history have found their final resting place here, including Oscar Gregorovius, architect and city planner of the “Colonie Carlshorst”, Georg Knorr, engineer and inventor of the air brake, and Professor Dr. Heinrich Dathe, first Director of the Tierpark Berlin. In Karlshorst, it becomes clear what close bedfellows war and peace have been in recent German history: The traces are still clearly evident today. On Zwieseler Straße you pass a high bunker. 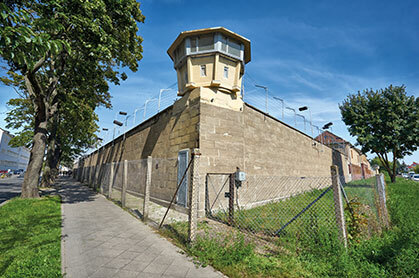 Erected in 1941, it provided shelter for 500 people against gas and bombing raids. The officers’ mess was part of the complex of the former fortress engineering school. This is where on 8th May 1945 the Wehrmacht signed the unconditional surrender to bring the Second World War in Europe to an end. From 1967 to 1994, this site housed the Soviet Capitulation Museum. On 10th May 1995 – the occasion of the 50th anniversary of the end of the war in Europe, it was reopened as the German-Russian Museum. 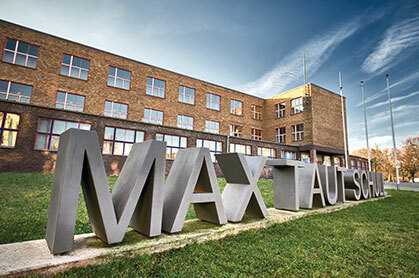 Alongside the permanent exhibition, the museum also organises changing thematic exhibitions and numerous events. For nature lovers, a small detour to Biesenhorster Sand is recommended, which you can get to via Zwieseler Straße and Viechtacher Straße. 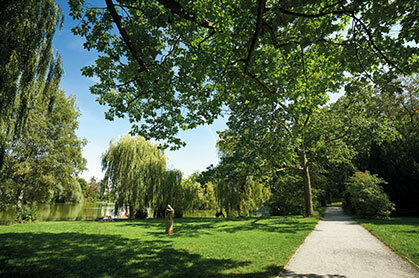 The area is flanked by the Karlshorst Gartenstadt (garden city). 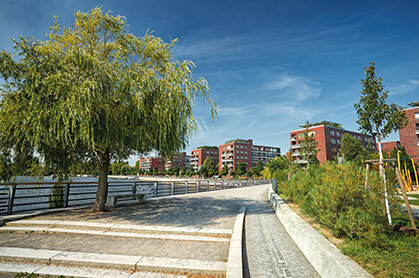 It is a completely new residential quarter with over 1.500 apartments, oriented on the historical “garden city” concept. The tour continues from Zwieseler Straße and turning left into Köpenicker Allee. Past the allotment gardens, you come from Wiesengrundstraße via the Verlängerte Waldowallee through the S-Bahn underpass to the Carlsgarten. 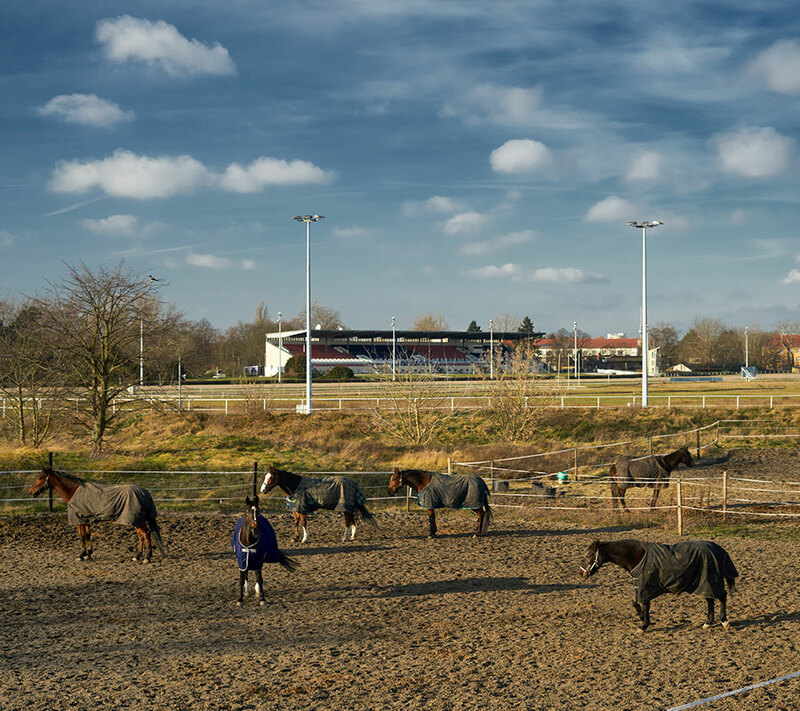 From there, it is just a few metres to the Pferdesportpark Berlin-Karlshorst (Karlshorst race track). Opened in 1894 as a steeplechasing racetrack, it developed into a spectator magnet and underwent its first structural modification with the addition of a new grandstand. Inaugurated in 1935, the grandstand with its 2.300 seats was the largest in Berlin. In 1945 the complex – largely supported and facilitated by the former Soviet city commander Nikolai Bersarin – was converted into a trotting racetrack. 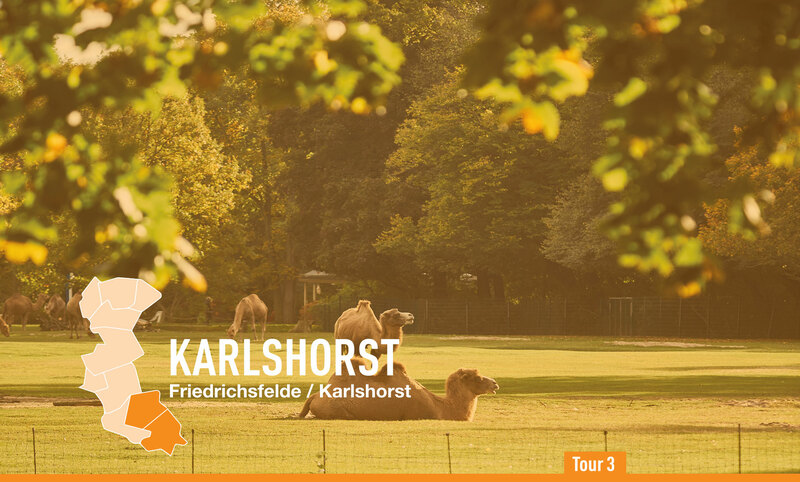 Your tour ends at the S-Bahnhof Karlshorst. A house with cultural offerings for young and old alike: music, literature, puppetry, cabaret, children’s programmes and exhibitions.